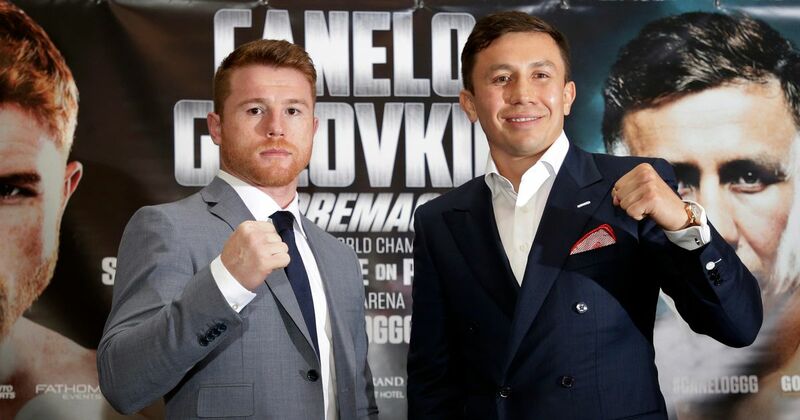 The middleweight division is courting a controversy of sorts at the moment as the two biggest fighters are caught up in an unwanted drugs storm ahead of their now-cancelled rematch on May 5. Mexico’s Saul ‘Canelo’ Alvarez of course protests his innocence and claims that traces of the banned substance Clenbuterol found in his system were in fact the result of eating some tainted meat in his native land rather than a more sinister programme of drug-fuelled cheatery as suggested by some observers. Opponent Gennady Golovkin currently holds the WBC, IBF and WBA titles and was perceived to be hard done to after their first fight -which was declared a draw- when many thought the Kazakh had done enough to win. Middleweight is one of the classic, original weight classes in boxing. Competitors must meet the limit of 160lbs to remain within the confines of the division. In 2004 Oscar De La Hoya made an audacious step up in weight to challenge Bernard Hopkins for middleweight supremacy in Las Vegas. I was at that fight and even though Oscar fought bravely, using his skills and speed to good effect early on, he found the strength of Hopkins too much and a chopping body shot ended his challenge in the ninth round. Florida’s Ronald ‘Winky’ Wright enjoyed much of his success at light-middleweight (or super-welterweight as it is most commonly known nowadays) before moving up to middleweight to defeat the likes of Felix Trinidad and Sam Soliman, before boxing to a draw with Jermain Taylor. De La Hoya and Wright were just peripheral figures in the divisions’ history, however, as much more recognisable names have endured long, fulfilling careers in the 160-pound weight class over its lengthy and highly decorated history. While the middleweight division is by no means at its strongest right now it does contain a number of decent fighters and I would argue that we are presiding over a slightly weaker era at present. WBO champion Billy Joe Saunders is a solid boxer with good all-round skills and has gathered plenty of experience against a varied roster of styles during his career. If Saunders was to go in with Golovkin I would not expect him to get blasted out as some have suggested and I believe he would take Golovkin rounds, if not winning a whole pile of them himself. Saunders burst the myth that was Chris Eubank Jr in 2014 and holds victories over the likes of Gary ‘Spike’ O’Sullivan, Andy Lee and then-unbeaten Jarrod Fletcher. His best win to date came at the end of 2017 when he comprehensively outboxed Canada’s David Lemieux. A big puncher, with limited footwork and a distinct inability to close range, Lemieux was tipped by a few American boxing pundits to knock Saunders out but the Londoner showed that when on form, fit and firing there is a lot more to him than meets the eye. Danny Jacobs gave Gennady Golovkin one of the hardest fights of his career back in 2017 and the hard-punching Brooklyn standout has reinvigorated his own chances of a big future pay day after signing with UK promoter Eddie Hearn. Jacobs now boxes once again on the esteemed HBO network and will be a tough matchup for anyone at the weight. Sergiy Derevyanchenko is in line for a shot at the IBF middleweight portion of the titles and the Crimean puncher (also based now in Brooklyn) would be a tough proposition for any of the champions. Two talented super-welterweights have added their names to the mix in recent months and one of those is Demetrius Andrade, a slick, awkward southpaw who has flattered to deceive as a pro so far due to his insanely lengthy bouts of inactivity. Ranked highly by the WBO, Andrade can make a name for himself if he is able to put aside political and promotional issues to actually focus on fighting. One half of the talented Charlo twins, Jermall, is also campaigning at middleweight. Jermall made his middleweight debut in 2017 with a farcical win over Argentina’s Jorge Sebastian Heiland and was declared the victor after Heiland was finally put out of his misery, hobbling around with a badly damaged knee that he clearly entered the ring with on the night. Charlo beat the likes of Austin Trout and Cornelius Bundrage down at 154lbs and rubber stamped his potential with a stunning knockout of fellow-unbeaten prospect Julian Williams before moving up in weight. Other notable names still clinging on for dear life in the middleweight rankings include: Martin Murray, Anthony Mundine, Tureano Johnson, Willie Monroe Jr and Tommy Langford. Heavy-handed Japanese boxer Ryota Murata holds part of the WBA silverware by virtue of a rematch win over Hassan N’Dam but it is merely a bauble and everybody rates Golovkin as the real WBA king. Carlos Monzon was undisputed middleweight king for seven years and the Argentine led a high velocity lifestyle, aptly nicknamed Escopeta or ‘Shotgun’ in English – a moniker that matched his personality. Despite enjoying tremendous popularity in his homeland, Monzon’s personal life was littered with controversial incidents, including accusations of domestic violence and eventually a lengthy prison sentence for murdering his wife in 1988. Monzon died in a car accident in 1995, aged 52, while on a temporary prison release. His activities inside the ropes matched his outside endeavours and Monzon’s record, when he retired in 1977, read 87-3 with 59 knockouts and nine draws! A tall, physically strong fighter who worked hard from first bell to last, behind a solid jab and right hand, Monzon was often able to lean back away from punches and evaded attacks with his upper body flexibility. His career is full of double victories over excellent fighters like Colombian Rodrigo Valdes, Emile Griffith, Bennie Briscoe and Nino Benvenuti. In fact it was in Italy in 1970 that Monzon took hold of the two main world titles around at the time (the WBC and WBA) against hometown boxer Benvenuti. All three of his losses occurred in the early stages of his career and all were later avenged. Like Lennox Lewis, he beat every man he ever faced. Bernard Hopkins is a boxer whose name is synonymous with the middleweight division. Fighting back from adversity early in life, Hopkins went on to enjoy a Hall-of-Fame career. It all could’ve wound up so differently, however, when at the age of 18 after a rough upbringing on the streets of Philadelphia, a string of convictions saw him being incarcerated on an 18-year stretch. While inside, Bernard converted to Islam and took up boxing, a decision that would hugely impact his life and career, starting in 1988 when he was tentatively released from jail after just five years served. After losing his debut bout Hopkins took a break from the sport, resuming his career in 1990 and winning 22 bouts on the spin before he found himself in with the supremely talented Roy Jones Jr in 1993 for the vacant IBF middleweight crown. Given what Hopkins has gone on to achieve in the sport, this now ranks as one of Jones’ finest victories. Undeterred by defeat, Hopkins went on the road in an effort to still make something of himself and even boxed in Ecuador against Segundo Mercado (a bout that ended in a draw) before emphatically winning the rematch and claiming a portion of the world titles. He took that IBF belt, added the WBC and finally gained the recognition and respect he deserved in one of the great boxing displays of recent years, against heavy-hitting Puerto Rican Felix Trinidad in a heated 2001 affair. Losses to the likes of Jermain Taylor, Joe Calzaghe and Chad Dawson came in the final years of Hopkins’ career but by this point he had moved up in weight and was nearing 50 years old. After winning the IBF middleweight title in 1995 he made a record 20 defences. Bernard now spends his time working with former foe Oscar De La Hoya at Golden Boy Promotions. The final fighter we will take a look at from middleweight history is the great ‘Marvellous’ Marvin Hagler. Hagler turned pro in 1973 under the guidance of the Petronelli brothers and remained loyal to the Massachusetts pair throughout his long career. It wasn’t until 1979 after Marvin had defeated a string of strong competitors and solid contenders (picking up a couple of losses and a draw along the way) he got an opportunity against Vito Antuofermo in Las Vegas for two portions of the middleweight belts. That bout ended in a draw and Hagler rebuilt before entering the ring in 1980 to face Alan Minter in a vociferous Wembley Arena against the backdrop of racial tension following some ill advised pre-fight comments from the English WBA and WBC champion. Hagler need just three rounds to slice and dice Minter and victory sent the Brockton resident on an amazing run of world championship fights that involved all three major belts (the WBA, WBC and IBF) along the way from 1980-1987 when Hagler infamously lost to Sugar Ray Leonard in Las Vegas and never boxed again. During his run Hagler dismissed challenges from the likes of Roberto Duran, old foe Vito Antuofermo, 30-0 Fully Obel, quality Syrian Mustafa Hamsho, Florida-based Ugandan John ‘The Beast’ Mugabi who entered with 25 wins all by stoppage and no defeats, and then of course the epic 1985 three-round slugfest where Hagler and Tommy ‘Hitman’ Hearns went to war until Hearns was removed in devastating fashion. Marvin Hagler brought exciting and professionalism to the sport and is rightly revered as a middleweight great. Waiting patiently for his opportunities, Marvin remained loyal to his team and believed in his methods – even preferring army boots to running shoes when negotiating his gruelling training runs. Hagler worked just as hard from his debut in 1973 to his final fight some 14 years later. Speaking on how it was so easy to take the foot off the gas after achieving in the sport, he bluntly declared: “It’s tough to get out of bed to do roadwork at 5am when you’ve been sleeping in silk pyjamas”. Hagler never afforded himself such luxury.